With less than a quarter of the season to go, Manchester City are 16 points clear of cross-town rivals Manchester United and could win the title when the two meet at the Etihad Stadium on the 7th April. The Premier League has seen an unpredictable relegation fight and with 11 teams still in mix, the final eight games promise to be tense for the fans of those 11 clubs. Although there is still time for things to change, the current bottom three of West Brom, Stoke and Southampton have looked unimpressive for most of this season and there will need to be a serious change in attitude if any of those clubs are to survive relegation. Burnley have defied Premier League betting odds this season, having been tipped for relegation before the season began. 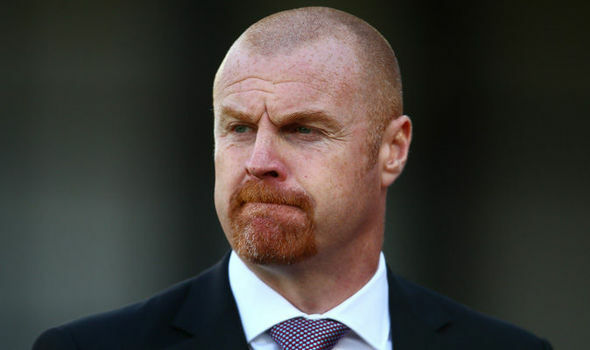 The Clarets were second favourites to go down, behind only Huddersfield, but thanks to the first candidate for Manager of the Season, Sean Dyche, they have stayed out of the relegation battle, sitting in seventh place just five points behind sixth place Arsenal. They started the season in incredible fashion, defeating the defending Premier League champions Chelsea 3-2 at Stamford Bridge, and have since drawn away at Tottenham, Liverpool and Manchester United, while also being able to stop runaway leaders Manchester City from taking all three points when they drew 1-1 at Turf Moor. Brighton’s Chris Hughton is another contender for Manager of the Season, having taken a Brighton team that was tipped to struggle this season into 12th place. The club are still in a relegation battle, and with half of their remaining fixtures being against the top four teams, they will need to pick up points in their other four games in order to retain their place in the Premier League for the 2018/19 season. Having beaten Arsenal earlier in March, Hughton knows how to beat the top teams and, if he manages to beat a couple of the top teams, as well as keep Brighton in the Premier League, he’ll be worthy of being considered as one of the managers of the season. The most likely candidate to win the Manager of the Season award is Manchester City’s Pep Guardiola, who has turned Manchester City from a good team into one of the most dominant teams in Europe. The club currently command a 16-point lead over Manchester United at the top of the Premier League and could win the title when the two face off against each other at the Etihad Stadium on the 7th April. Guardiola has also been able to get the best out of his players, with the likes of Raheem Sterling and Kevin De Bruyne playing pivotal roles in the improvement in City’s style and form. The player of the season will be a strongly contested affair, as there have been plenty of star performers this year, however we shall take a look at the three most likely to win the award. Kevin De Bruyne has become more and more impressive since he left Chelsea for Wolfsburg back in January 2014 for £18 million. 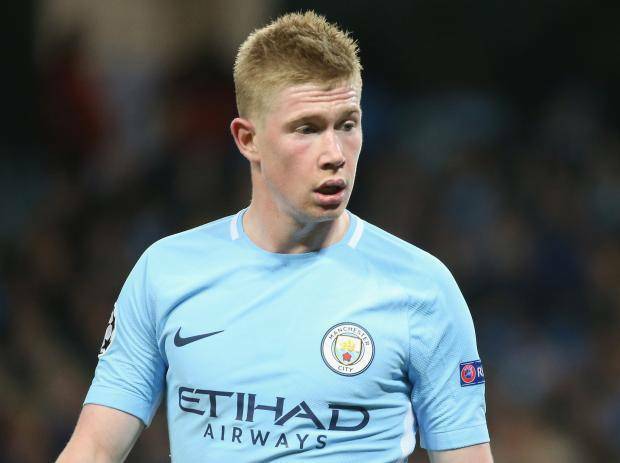 It was two and a half years later that De Bruyne returned to the Premier League when Manchester City signed the Belgian playmaker for £55 million. Under Pep Guardiola he has gone from being a good player to becoming a fantastic player, having made the most assists in the league this season with 14, while having also scored seven goals, as City look to win their third Premier League title. Another former Chelsea player who has done incredibly well this season is Mo Salah, who has so far scored 28 goals in the league for Liverpool. Following a loan deal at Roma for the 2015/16 season, Roma made the deal permanent for £15 million in 2016 and just one season later, the Egyptian forward was sold for £35 million to Liverpool. Salah has been one of the more unexpected performers in the league, overtaking Harry Kane at the top of the scoring charts. Not only is Salah Liverpool’s top scorer this season, but he is also the Liverpool player with the most league assists this season with nine. The final choice for player of the season is Harry Kane who has continued to score important goals for Tottenham, despite some claiming back in 2015 that he would be just a one season wonder. His impressive form for Tottenham has seen him linked with a big money move to Real Madrid, however with the World Cup around the corner, he will be wanting to focus on playing well for club and country rather than trying to earn a big money move abroad. Kane currently sits second in the scoring charts in the Premier League with only Mo Salah ahead of him. He has recently picked up an ankle injury which is likely to see him out until mid-April and will damage his chances of finishing as the league’s top scorer. The first goal of the season candidate is the August Goal of the Month winner, Charlie Daniels, who scored the opener for Bournemouth against Manchester City in a game that defied Premier League predictions. It was City’s captain, Vincent Kompany, who half cleared the ball with a header, the ball then bounced to the edge of the area where Cherries defender Charlie Daniels struck the ball on the half volley and it screamed past City’s goalkeeper Ederson and gave Bournemouth the lead in memorable circumstances. Unfortunately for Bournemouth this goal was not enough as City went on to win 2-1. Jermain Defoe scored the second choice for goal of the season with a neat volley over the head of Crystal Palace goalkeeper Julian Speroni. The goal was voted December’s Goal of the Month and Defoe, who was channelling Dutch legend Marco van Basten, scored a superb volley from a tight angle. Defoe had opened the scoring before Palace took the lead 2-1 just minutes before half time, however in the last few seconds of the first half, Defoe chased down the ball and volleyed home to equalise for Bournemouth. Crystal Palace striker Christian Benteke missed a late penalty which meant Defoe had secured a point for his team. January’s Goal of the Month from Chelsea’s Willian demonstrated a spectacular level of teamwork between himself, Eden Hazard and Michy Batshuayi. Willian ran with the ball towards the Brighton defence, before passing it to Hazard, who was unable to control the ball, Batshuayi collected the ball from Hazard’s poorly controlled touch and played it back to Willian. Willian taps it to Hazard, who flicks in on to Batshuayi before he then flicks it back on to Willian for the Brazilian to score from just inside the area.